Witnessing family violence warrants a section of its own. Due to the ever-increasing spousal violence statistics, I've treated this form of violence (witnessing) separately under Terrorizing. Putting down a child or youth's worth or putting down their needs. » frequent belittling-use of labels such as "stupid", "idiot"
The most insidious type of emotional abuse comes under rejection. "I wish you were never born." A U.S. study that randomly assigned rejection experiences to students found that rejection can dramatically reduce a person's IQ and their ability to reason while increasing their aggression (Baumeister, 20021). Keeping a child away from family and friends. Isolated emotional child abuse has had the lowest rate of substantiation of any of the types of emotional abuse (Kairys, 20022). Failing to give any response to or interact with a child or youth at all. » lack of attention to schooling, etc. Encouraging a child or youth to do things that are illegal or harmful to themselves. Giving a child or youth responsibilities that are far greater than a child/youth that age can handle. It is also using a child for profit. Causing a child or youth to be terrified by the constant use of threats and/or intimidating behaviour. This includes witnessing, which is when a child or youth observes violence, hears violence, or knows that violence is taking place in the home. Children and youth who witness family violence experience all six types of emotional abuse. 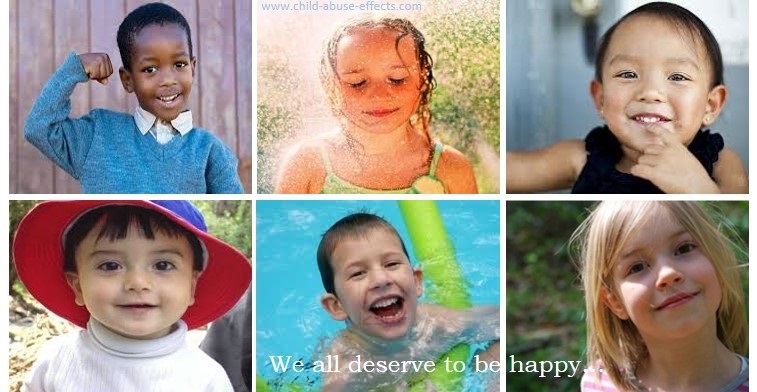 A 1995 telephone survey identifying types of emotional abuse suggested that by the time a child was 2 years old, 90% of families had used one or more forms of psychological aggression in the previous 12 months (Straus, 20003). Many people including parents, members of the law enforcement community and journalists, think that infants and young children who witness violence are too young to know what happened. They don't take it in. "They won't remember." In fact, infants and young children can be overwhelmed by their exposure to violence, especially--as it is likely to be the case with very young children--when both victims and perpetrators are well known and emotionally important to the child and the violence occurs in or near the child's own home. In tracking types of emotional abuse, the most common form was exposure to family violence at 58% (Health Canada, 20015). Half a million children in Canada have witnessed at least one violent episode of spousal abuse during the past 5 years (Statistics Canada, 20006). 25% of Canadian women have experienced violence at the hands of a current or past marital partner since the age of 16 (Statistics Canada, 19937). Aboriginal women have the highest risk for spousal violence: 25% of Aboriginal women were assaulted by a partner during a 5-year period, which was twice the rate for Aboriginal men (13%). In approximately 50% of the assaults, children had been a witness (Health Canada, 20018). According to the General Social Survey, 20% of Aboriginal men and women reported being assaulted by a spouse in a 5-year period as compared with 7% of the non-Aboriginal population (Health Canada, 20019). Approximately 500,000 Canadian households experience marital violence every year (Jaffe, Suderman & Reizel, 199211). 81% of assaults classified by police involved a male offender, 9% a female offender, and 10% involved both male and female offenders (B.C. Institute on Family Violence, 1995, p.712). Children and youth who witness family violence are experiencing terrorizing. These children almost always feel responsible for the anger, tension and violence in disputes between their caregivers. Often, they blame themselves for the ensuing violence. When children are forced to witness violence, they develop feelings of inadequacy, powerlessness and helplessness. They may attempt to "keep the peace" within the family, and/or exhibit inappropriate behaviour. The greater the amount of violence towards a spouse, the greater the probability of physical abuse of a child by the abusive spouse (Ross, 1996, p.59513). 52% of children and youth whose histories of emotional child abuse included witnessing violence developed Post Traumatic Stress Disorder. (Famularo, Fenton & Kinscherff, 1993, p.75714). Suicidal tendencies or attempts, and disruptive disorders were reported by the majority of children and youth who experienced a variety of types of emotional abuse. 72% of these children and youth experienced emotional and behavioural disorders. 85% of the maltreated children and youth reported Post Traumatic Stress Disorder from either sexual abuse or witnessing spousal violence (DeBellis et al., 200115). [Of the types of emotional abuse that may have a direct link to future criminality,] Canadian adolescents who reported witnessing spousal violence were 11.14 times more likely to use drugs, 8.43 times more likely to have suicidal thoughts, and 4 times more likely to be charged with a criminal offence than those who were not witnesses (Manion & Wilson, 1995, p.27 & 2916). If a child develops a map of the world that depicts people and places as hostile and the child as an insignificant speck relegated to one small corner, we must expect troubled development of one sort or another: a life of suspicion, low self-esteem, self-denigration, and perhaps violence and rage. We can also expect a diminution of cognitive development and impediments to academic achievement and in-school behaviour. 1 Baumeister, Roy. (2002, forthcoming). Effects of social exclusion on cognitive processes: Anticipated aloneness reduces intelligent thought. The Journal of Personality and Social Psychology. 2 Kairys, S. & Johnson, C. (2002, April). The psychological maltreatment of children—Technical report. Pediatrics, 109(4), e68. 3 Straus, M. & Field, C. (2000). Psychological aggression by American parents: National data on prevalence, chronicity and severity. Washington, DC: American Sociological Association. 4 The Family Violence Prevention Project (1990). A handbook for the prevention of family violence. The Community Child Abuse Council of Hamilton-Wentworth. 5 Health Canada. (2001). Canadian incidence study of reported child abuse and neglect: Final report. Ottawa: Government of Canada. 6 Statistics Canada. (2000). Family violence in Canada: A statistical profile. Catalogue No. 85-224-XIE. Ottawa: Government of Canada. 7 Statistics Canada. (1993, November 18). The violence against women survey. The Daily. Ottawa: Ministry of Industry, Science and Technology. 8 Health Canada. (2001). Canadian incidence study of reported child abuse and neglect: Final report. Ottawa: Government of Canada. 9 Health Canada. (2001). General social survey (GSS) on victimization. Ottawa: Government of Canada. 10 Statistics Canada. (1993, November 18). The violence against women survey. The Daily. Ottawa: Ministry of Industry, Science and Technology. 11 Jaffe, P., Wolfe, D., & Wilson, S. (1990). Children of battered women. Newbury Park: SAGE Publications, Inc.
12 B.C. Institute on Family Violence. (1995). Family violence in British Columbia: A brief overview. Vancouver: B.C. Institute on Family Violence. 13 Ross, S. (1996). Risk of physical abuse to children of spouse abusing parents. Child Abuse & Neglect, 20(7), 589-598. 14 Famularo, R., Fenton, T., & Kinscherff, R. (1993, July). Child maltreatment and the development of post traumatic stress disorder. American Journal of Diagnostic Categories, 147, 755-760. 16 Manion, I, & Wilson, S. (1995). An examination of the association between histories of maltreatment and adolescent risk behaviours. Ottawa: National Clearinghouse on Family Violence. 17 Garbarino, J. (1993, June). Psychological child maltreatment: A developmental view. Family Violence and Abusive Relationships, 20(2), 307-315.